Cinnamon is a spice which comes from the bark of the cinnamon tree. It can be used in stick form or ground into a powder of varying grades. Cinnamon is widely used to flavor beverages such as milk, as well as baked goods. This spice is also a key ingredient in a number of spice blends. Native to Sri Lanka, ground cinnamon may be the most used baking spice. Cinnamon sticks are used to flavor biryanis, meat dishes, and pulaous. The sticks are removed prior to serving. Cinnamon has a woodsy and sweet flavor. In Mexico it is commonly used in the production of chocolate. 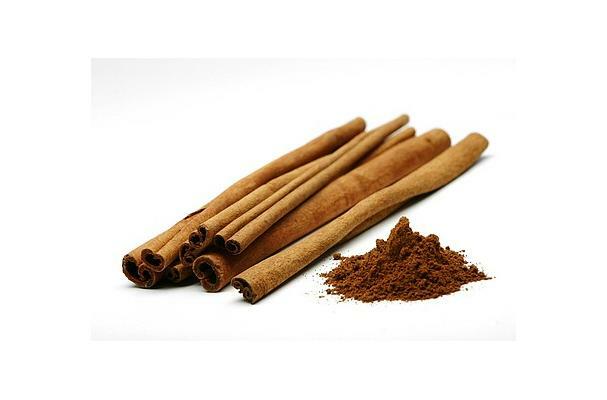 In the Western Hemisphere cinnamon is usually used in sweet dishes (and mixed with sugar for a topping for apples or yogurt), and in the Eastern it is used mostly for savory chicken or lamb dishes. Choosing: If possible, smell the cinnamon to make sure it still has a strong sweet smell. This is an indication that the cinnamon is still fresh. Buying: Cinnamon is available in stick or powder form. History: The cinnamon has a rich history and is considered one of the oldest spices known. It was mentioned in the Bible and was imported to Egypt as early as 2000BC.